Just a decade ago, Chinese tourists explored the U.S. almost exclusively on group tours: corralled together, often fed en masse with sandwiches while being shuttled from one attraction to another in large groups, or at cheap buffets. While the experience was not glamorous, these trips catered to the interests and budget of the average Chinese traveler. Today, China’s outbound tourists are looking for a different kind of traveling experience. And the Golden Week annual holiday, beginning Wednesday, is the best occasion to see this new kind of free-spending Chinese tourist -- especially in restaurants, where a traditional Chinese love of food and new money are meeting. Popular tourist destinations have been stepping up their culinary game, anticipating the Oct. 1 National Day holiday and its attendant tradition of spending money on gifts and travel. In the past, tourism during Golden Week was typically local, with groups of tourists flocking to China’s popular landmarks and attractions like the Sanya beaches or Jiuzhaigou scenic mountain ranges. However, the Chinese are richer and more open to the world now, and increasingly choosing to travel overseas during their holidays. According to state-run China Daily, outbound tourists during Golden Week are expected to hit a new high, boosted by simplified visa processes. By the end of 2013, the China Outbound Tourism Research Institute estimated that 90 million people traveled overseas, becoming the world’s largest outbound tourist market. Chris Thompson, the president and CEO of Brand USA, a tourism initiative launched by the U.S. government, said that Chinese tourists represented a huge part of America’s inbound tourism, with 1.8 million visitors coming to the U.S., mostly to California and New York. Not only are the Chinese coming to see sights and explore the world, they’re also spending: Brand USA says that Chinese visitors spent $9.8 billion in 2013, with the average tourist spending $5,400 during the trip, which is about 21 percent more than the average international visitor. Airlines, tour groups, tourist sites and luxury brands have all capitalized from China’s new wanderlust. It's not a surprise anymore that luxury retailers in Western cities have added Mandarin speakers to service Chinese buyers. But that bonanza may be fading, a victim of President Xi Jinping's anti-corruption drive and the resulting curbs on lavish spending by Communist Party officials. Leading luxury brands like LMVH, the parent company of brands well-loved by the Chinese like Gucci, Louis Vuitton and Prada, have seen disappointing sales among Chinese consumers. But while these luxury brands may be struggling to bring in Chinese dollars, there's a sector that's still raking it in from Chinese patrons: American restaurants. Brand USA data shows that fine dining as a reason for travel has climbed over the past two years, with 48 percent of tourists citing culinary exploration as a reason for their trips. That's now the third-most-popular reason to to visit the U.S., after shopping and sightseeing. In response to this growing trend of culinary exploration, Brand USA has made a concerted effort to promote America’s cuisines in a program called “Great American Food Stories,” a guide that explores the bounty of regional offerings allowing tourists to “experience the U.S.A. one dish at a time,” with the help of prominent chefs around the country. The guide, published in several languages, including Chinese, is an opportunity to showcase not only the array of regional cuisines but also the regional agriculture and products like Pacific seafood or Midwestern dairy and grain. London-based ritzy nightclub and restaurant group Hakkasan has also decided to capitalize on the growing number of Chinese foodies. For the first time, the restaurant group is using Golden Week as an opportunity to bring in some of these traveling Chinese with a new special menu for the holiday in its restaurants in London, Las Vegas, Beverly Hills and New York City. 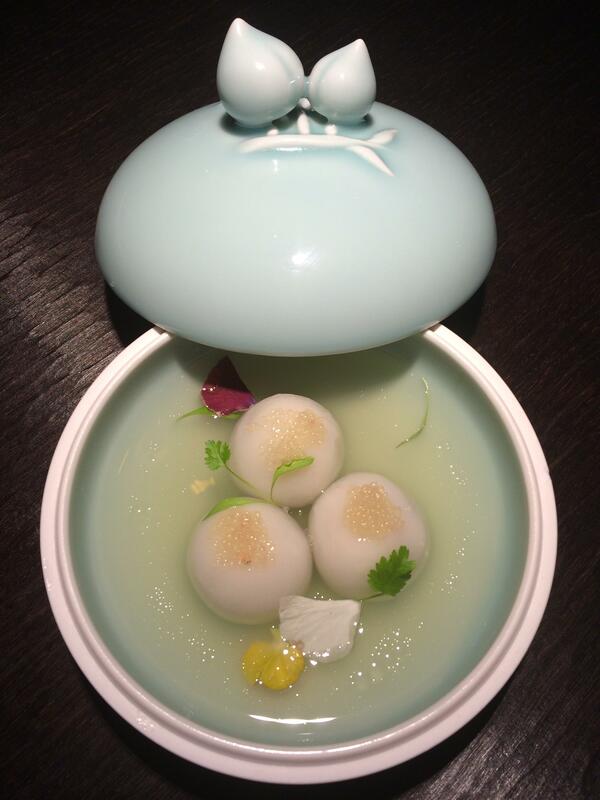 “As many local Chinese travel good distances to dine with us, it was an opportunity to create some unique traditional dishes and join in the festivities,” Michelle Hunt, general manager of Hakkasan’s Mayfair location, said in an interview. Hakkasan, branding itself as an upscale, modern-authentic Cantonese restaurant, has done its research, claiming to know the ins and outs of the Chinese diner, tailoring their menu and service accordingly. “Our Chinese guests are very driven, they understand what they would like and they are very particular in relation to quality and service,” Hunt said. The special Golden Week-set menu, which began on Sept. 29 and will continue through the holiday, is priced at London establishments at 88 pounds, playing on the auspicious Chinese number 8, which represents longevity. 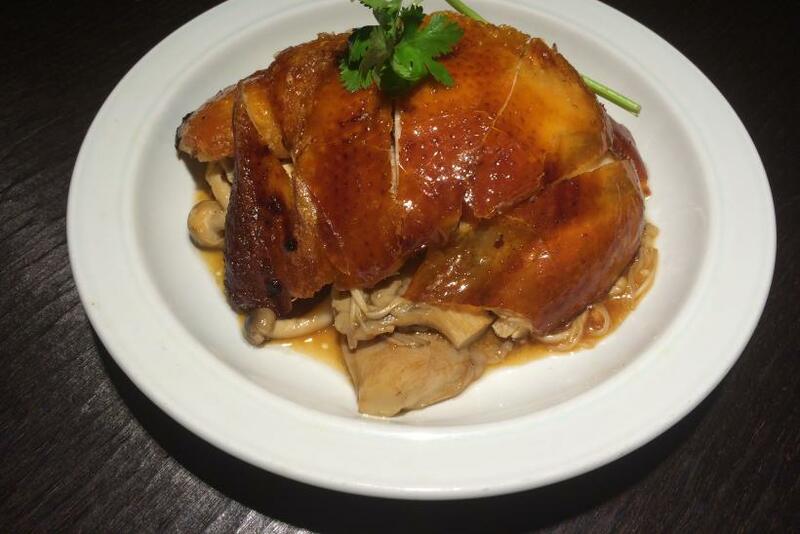 Menu items at the New York City location were obvious nods to popular Chinese dishes with distinctly expensive Chinese twist-- like adding caviar to Peking duck wraps or adding the pricy mollusk abalone to fried rice. The meal’s grand finale, a set of macaroons dusted with gold flakes, is sure to be a hit among China’s gold-obsessed diners.